The various sections below detail different aspects, features and options available on our Bifolding Doors. Below are some images showing the most popular styles for bifolding doors, the small image below each door shows how it would look if opened when viewed from above. All styles of bifolding door are available as 'Open Out' where all the bifold sashes fold to the outside of the building when open, or 'Open In' where all of the bifold sashes fold to the inside of the building when open. These are the more common styles, many more styles are available that will accommodate larger openings. Please Note: the maximum size for a sash (1 panel in a bifolding door) is 1200mm, so for example if the door you require is 3200mm wide you would be able to choose a three panel door, however if the bifolding door you require is 3800mm you would need to choose from the styles that have four panes. The threshold is the bottom of the bifold that is visible when the door is open, there are 3 options available, all with or without a cill. Please click on the small images below to view the pictures in more detail. 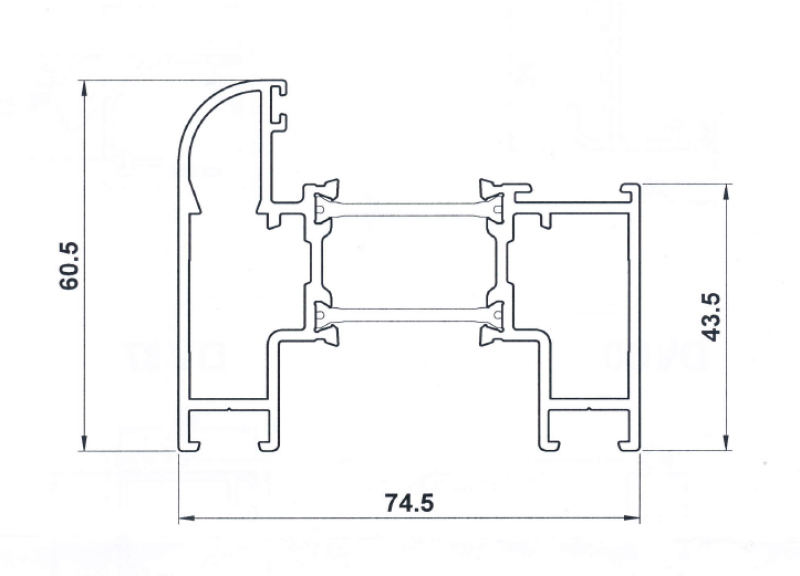 Rebated threshold is the standard that we manufacture, it offers the weather seal against the elements. 20mm low threshold is used in areas where the weather seal lip at the back of the rebated threshold could cause a trip hazard or obstruction. 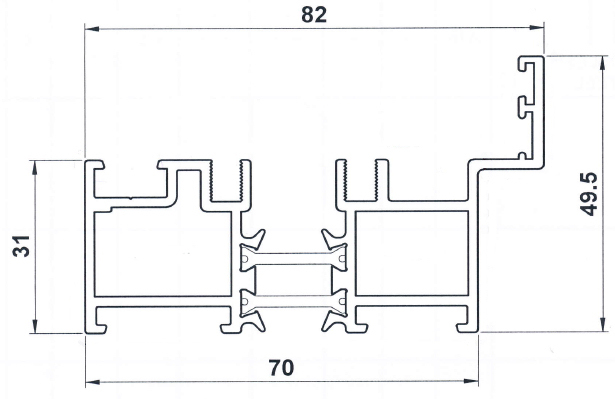 The threshold is shown with the optional ramps to each side. 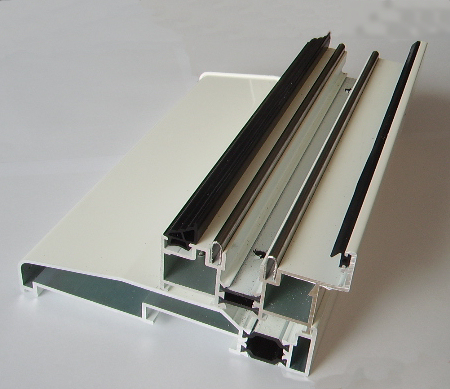 Along with thresholds there are several other profiles that are used in the manufacture of bifolding doors. The outerframe runs all the way around the outside of the door and provides the weather seal. The sash makes up each pane of the bifolding door. The cill is optional and is fitted under the threshold. All our bifold styles are available in a multitude of colours, we can even produce 'dual colour' where the inside of the bifold is a different colour to the outside. The colour applied is a very hard wearing Polyester Powder Coat (PPC). 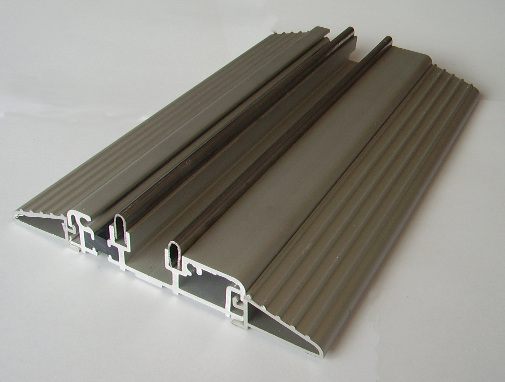 Please Note : If one of the low thresholds is chosen it would be supplied in a anodized finish (silver) regardless of the colour or combinations of colours chosen. This is because of the potentially damaging nature of wheeled traffic traveling over the threshold, a powdercoated finish would soon scratch and fade. There are two different handles used on a bifolding door, a lever handle (as used on a normal door) for use on the main exit door (if the style uses a main door) and a shootbolt handle (used in all other locations). As shootbolt handles are internal only, they are available with or without locks. Both styles of handle are available in White, Black or chrome. Lever handles are also available in satin. Please click on the images below to view the various handles and their colours. The running gear comprises of the top and bottom runners, the bottom runner has stainless steel wheels and runs on stainless steel tracks, this takes all the weight of the doors and glass, the top runner is a guide and has a polyester roller. The running gear is the main mechanical part of a bifolding door and does all the work. Please click on the images below to see the top and bottom runners. For glazing we use Planitherm® toughened glass - proven to be the most energy-efficient window glass available in the UK. We are currently including Argon Gas in all Planitherm® units free of charge.